Black man posing on chain link fence. "To find out more about the relationship between AIDS and VD, call the National AIDS Hotline at 1-800-342-AIDS. The hotline for the hearing impaired is 1-800-AIDS-TTY. U.S. Government Printing Office 1993-0-738-391,"
Order number: P146. 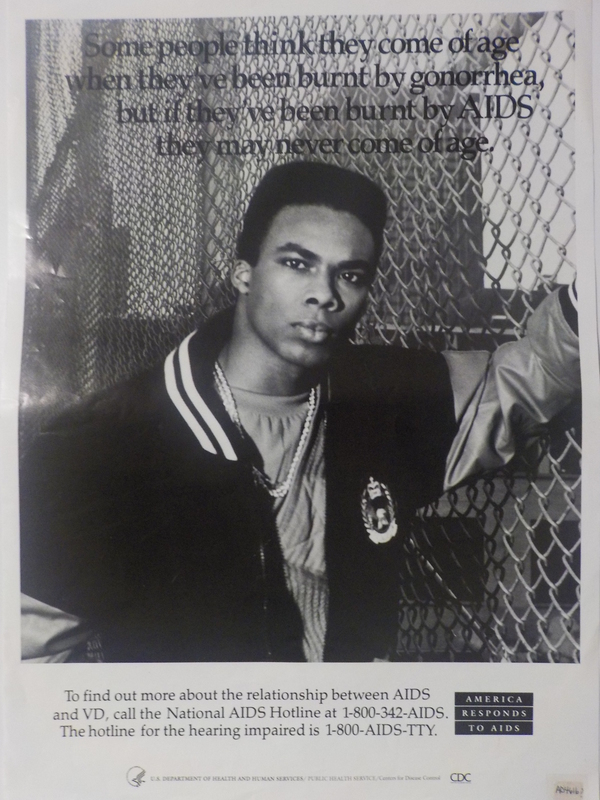 CDC National AIDS Clearinghouse, Catalog of HIV and AIDS education and prevention materials September 1994, p. 21. An African-American teenager in an urban setting is pictured in this poster. The text tells how to find out more about the relationship between AIDS and sexually transmitted diseases.